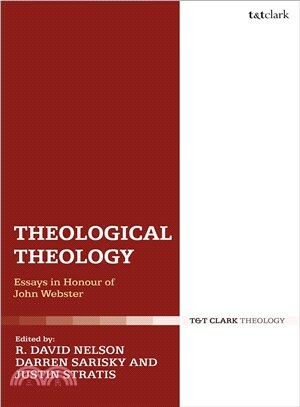 Paying tribute to John Webster's theological works, this volume examines select cardinal Christian doctrines that have been imperative to Webster's research, with essays contributed by eminent systematic theologians, theological ethicists, and biblical scholars from a wide range of Christian traditions. The areas of discussion include the nature and method of theology, Scripture and its interpretation, Christology and the doctrine of the Trinity, moral theology, and the reading and use of theological dialogue partners. These contributors appraise, extend and apply different aspects of the conception of "theological theology". The volume argues that, if theology should in fact be thoroughly theological, it means that theological discourse gains little by conforming to the canons of inquiry that govern other disciplines. By analyzing aspects such as the location of the Church's doctrine, the sinlessness of Christ and the interpretation of scripture, this book posits that theology should rather focus its attention on its own unique subject, God and all things in relation to God, and should follow procedures that allow it to access and bear witness to these realities. R. David Nelson is Acquisitions Editor for Baker Academic and Brazos Press, USA. Darren Sarisky is Tutor in Doctrine and Ministry at Wycliffe Hall, University of Oxford, and Associate of the Research Institute in Systematic Theology at King's College London, UK.